Does Dependency Status on Income Tax Returns Affect Financial Aid Eligibility? Dependency status on federal income tax returns and on the FAFSA. My daughter graduated from undergraduate school in May of this year. As far as student loans were concerned she was considered a dependent for the 4 years she attended there and we filed our income tax as such. However, she started graduate school in July of this year and in order to attend she had to apply for a student loan as an independent. My question is since she was considered a dependent for the first half of the year and an independent for the second half, can or should we claim her on this year's income tax returns as a dependent and if so would this affect her loan for graduate school in any way? — Donna W. Dependency status on federal income tax returns and on the Free Application for Federal Student Aid (FAFSA) are not related. 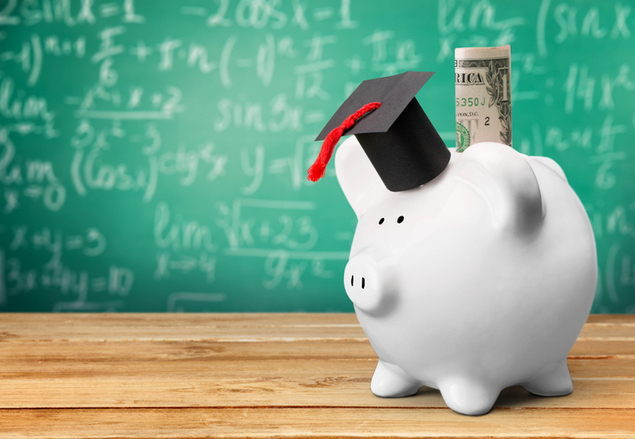 Claiming a student as a dependent on the parent's federal income tax return generally does not affect the student's eligibility for financial aid. Dependency status on IRS Form 1040 is specified by the Internal Revenue Code of 1986 [26 USC 152]. Dependency status on the FAFSA is specified by Section 480(d) of the Higher Education Act of 1965 [20 USC 1087vv(d)]. These laws are different and have different definitions of the term dependent, although there are some similarities. Chapter 3 of IRS Publication 17 describes the criteria for a child to be considered a dependent on the parent's income tax return. Generally, a child must be under age 19 or a full-time student for at least 5 months during the year to be considered a dependent for federal income tax purposes. The child must have lived with the taxpayer for more than half the year, notwithstanding any temporary absences for illness, education, business, vacation or military service. The child must not have provided more than half of his or her own support. (Note that scholarships do not count when determining how much support was provided by the child.) Multiple support agreements allow divorced parents to decide which parent can claim the child as a dependent. To be considered a dependent for federal student aid purposes, the child must not be an independent student. A graduate student is automatically considered an independent student. (A student will also be considered independent if he or she is over age 24 as of December 31 of the award year, is married, has dependents other than a spouse, is a veteran or on active duty in the Armed Forces, or is an orphan or satisfies certain other criteria.) If a child is not an independent student, the parent must also have provided more than half of the child's support. The definition of support for the FAFSA differs slightly than the definition used by the IRS. The child does not have to live with the parent to be considered a dependent on the FAFSA. Thus a graduate student may be claimed as a dependent on the parent's federal income tax return if the student satisfies the IRS rules for a qualifying child without affecting the student's status as an independent student for federal student aid purposes. The graduate student is independent on the FAFSA because she's a graduate student, regardless of whether the parent supports her or not. Likewise, whether the child was a dependent student for part of the year and an independent student for the rest of the year has no impact on whether the parent can claim the child as an exemption on the parent's federal income tax returns. It is irrelevant. The dependency status for federal student aid purposes and the dependency status for federal income tax purposes are separate, unrelated concepts. Note that if a parent claims a graduate student as a dependent on the parent's federal income tax returns, it may affect the student's ability to claim certain tax benefits on her own federal income tax return. For example, students who are claimed as an exemption on someone else's federal income tax return are not eligible for the student loan interest deduction.